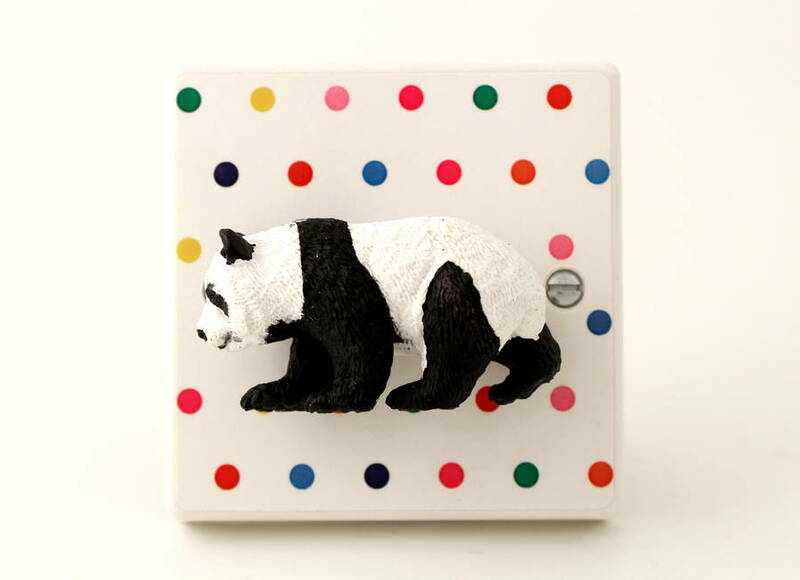 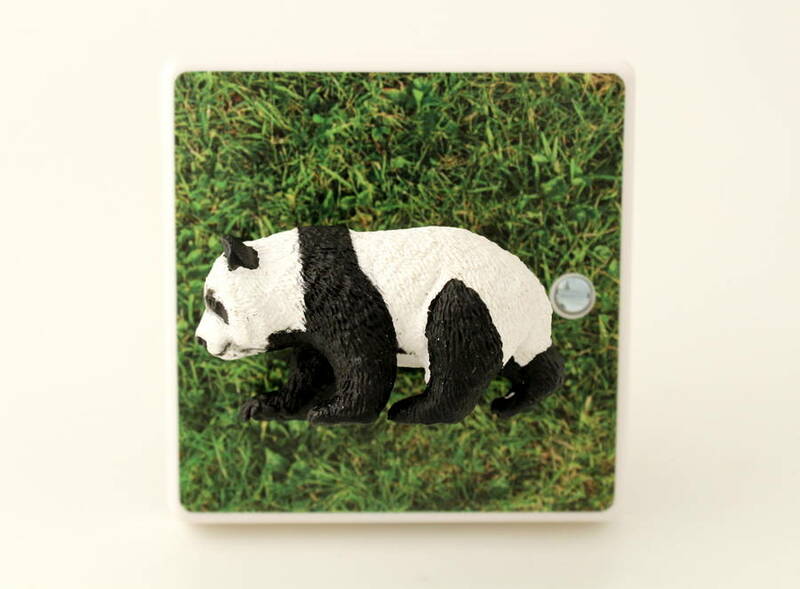 A Decorative Panda Bear Light Switch, an Original and Unique Gift for a childs nursery, playroom or bedroom. Exchange your entire light switch for one which will quite simply demand attention by all who enter the room. 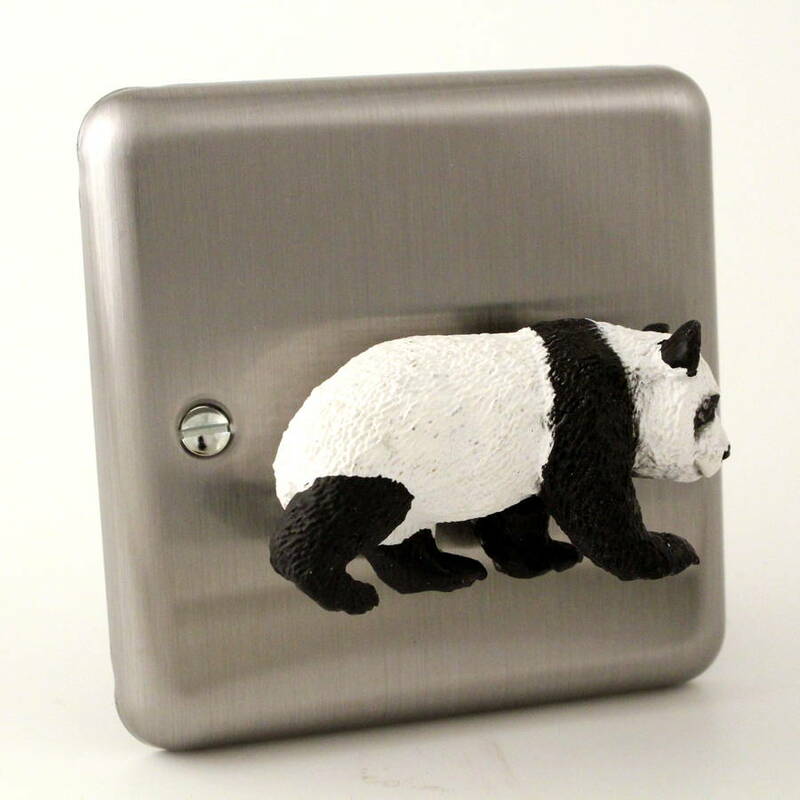 Simply turn to the Panda to the right to turn on the lights and back to the left to turn them off, a simple 'click' on/off action. 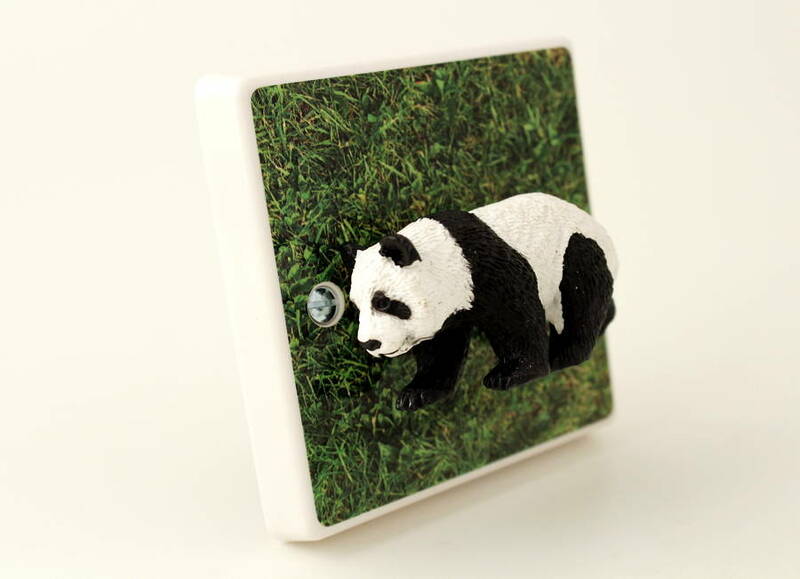 This is not a flimsy light switch cover but a fantastic quality, whole light switch unit. 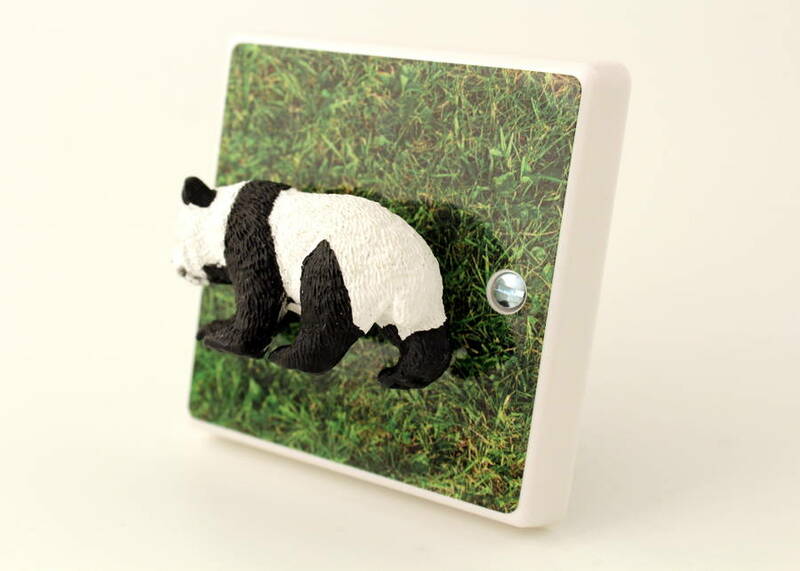 It can be fitted in minutes and will make a simply stunning replacement to your boring white plastic light switches. 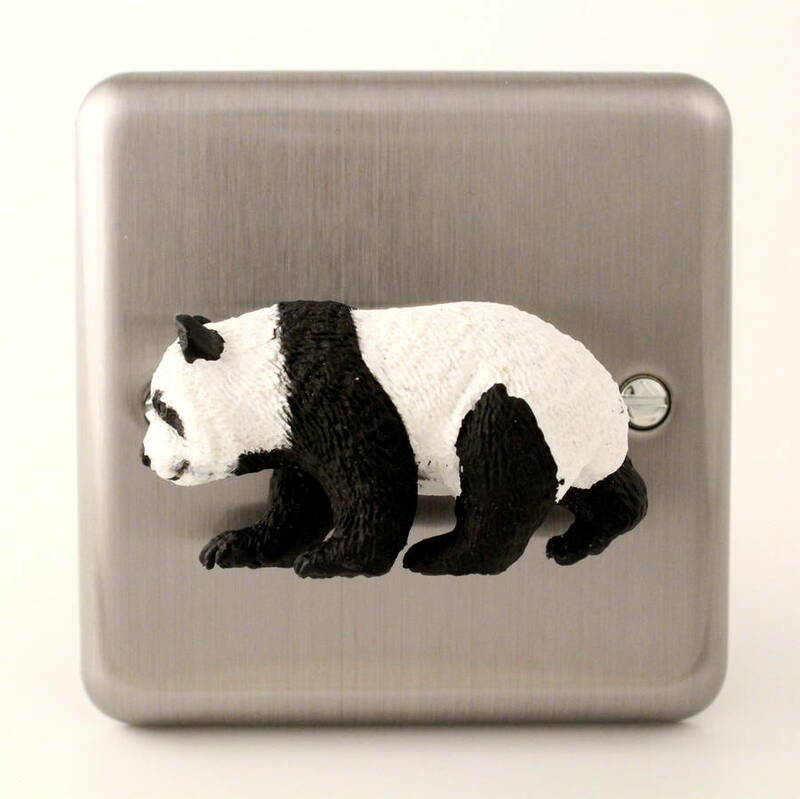 1 Way 400 W Dimmer Switch (Rotary Knob) – With a rotary switch which makes a satisfying 'Click' On/Off – Perfect for most bedrooms and lounges but NOT suitable for LED lights. 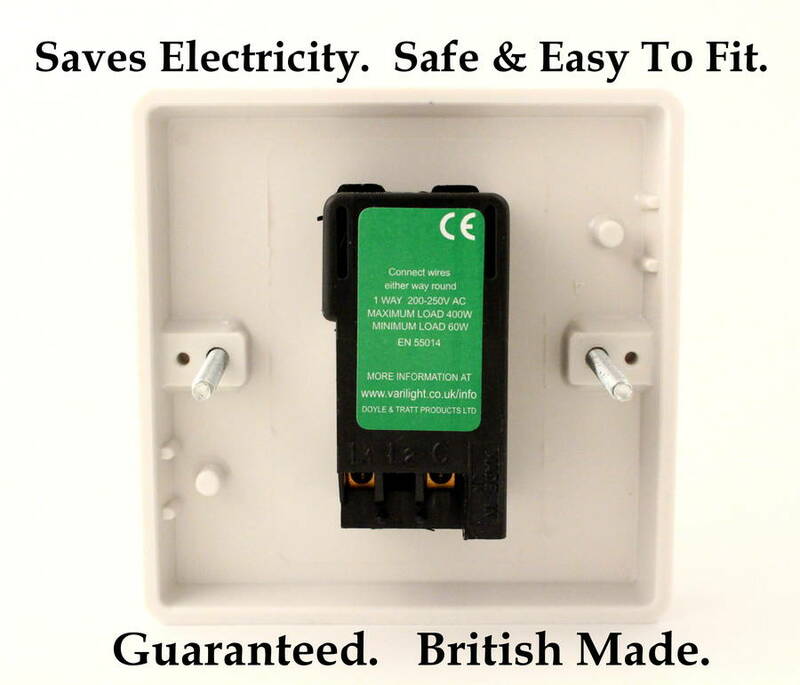 Superb Quality, Long lasting, Saves Electricity, Extends Bulb Life, Safe & Easy to fit, Guaranteed, Full Instructions enclosed, British Made. 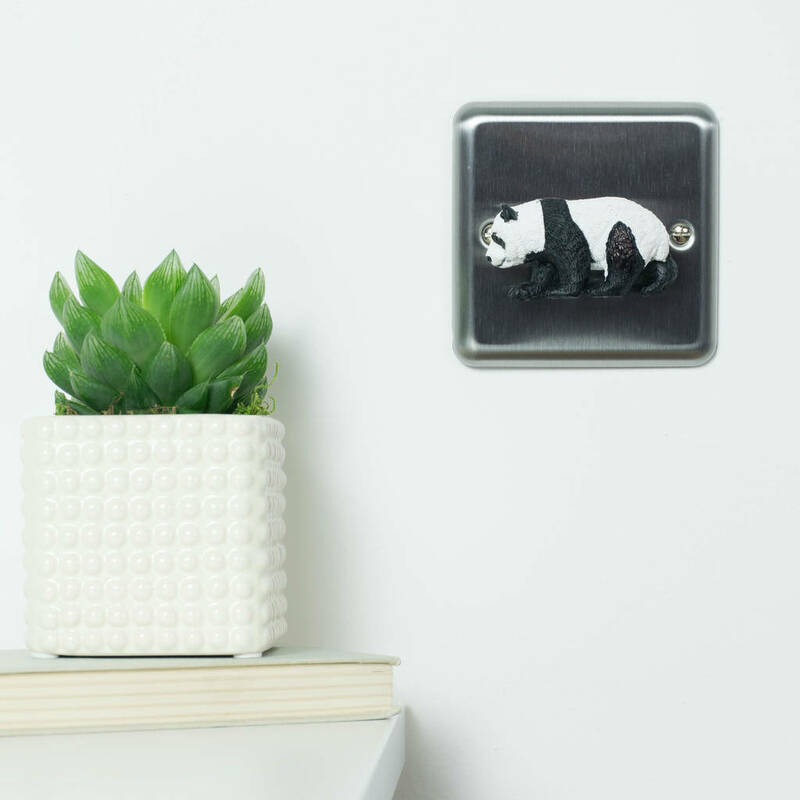 Dimmer switches shouldn't be dull and it's good to save energy, especially when your new light switches will look this stylish! 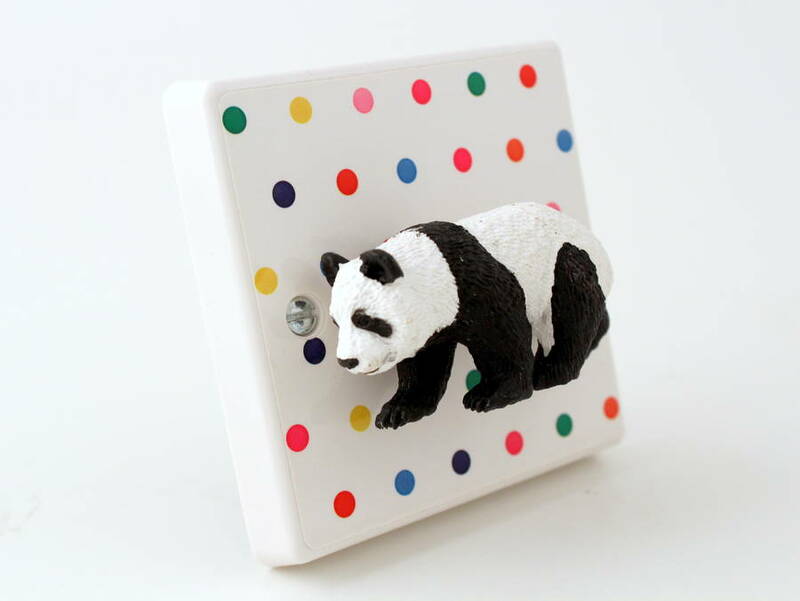 A dimmer switch can offer security for small children and will save energy. 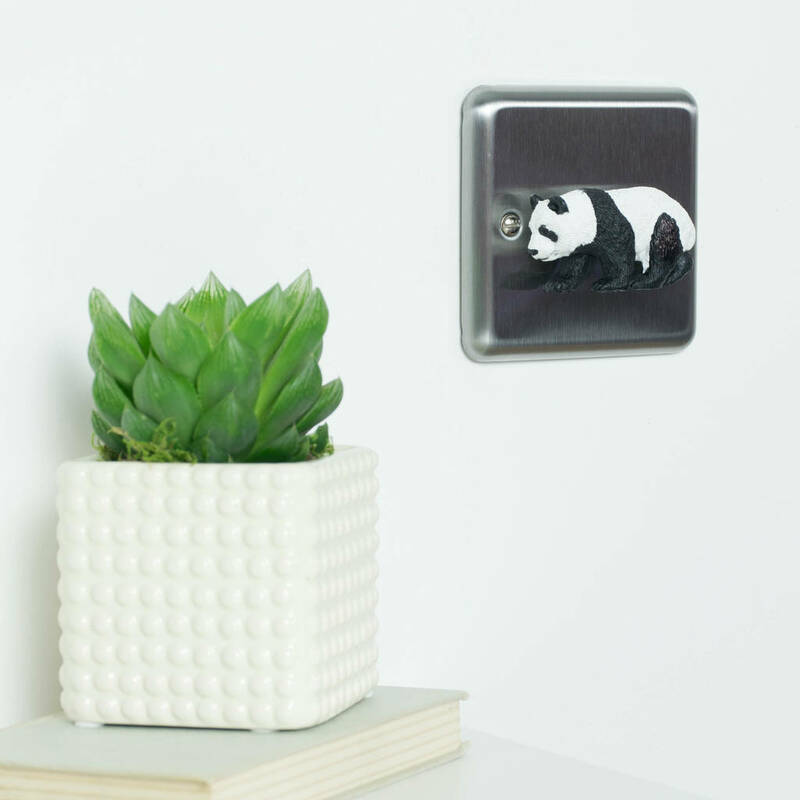 Dimmer switches are perfect for creating ambient lighting in all rooms of the home and if you don't want the lights to dim you can simply have them on full brightness. 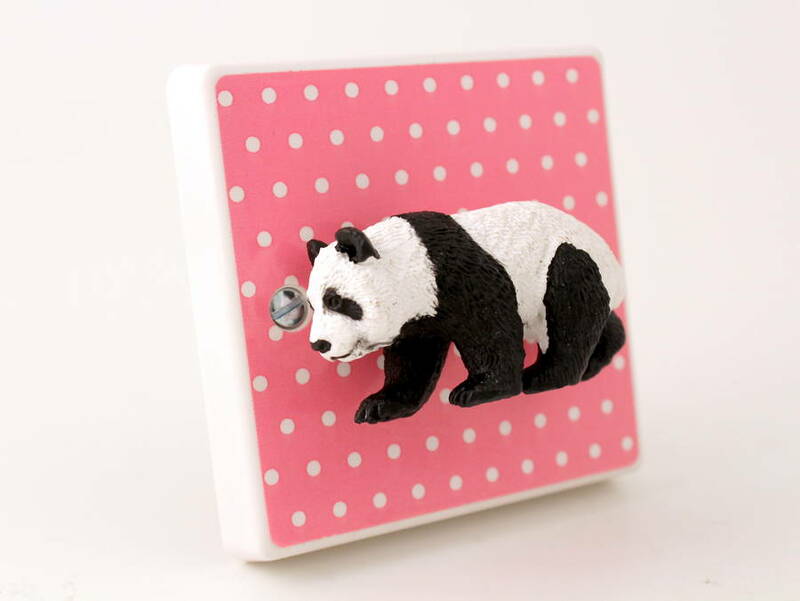 Transform your themed children's bedroom in minutes with a Candy Queen Light Switch or give one as a Unique and Unusual Panda Lovers Gift with an almost guaranteed WOW factor!